Tierra Del Sol, located in the quaint beach town of Jupiter, Florida is not your usual townhouse or community. These townhomes are spacious with 3400 square feet or more, high ceilings and they are within walking distance to the beach, upscale restaurants and top of the line shopping. 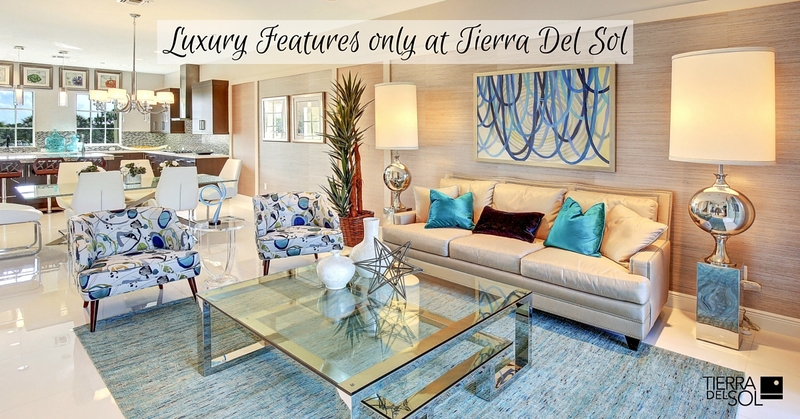 When you live at Tierra Del Sol you are living in luxury ideal for a second home or empty nester. Exterior Features – Tierra Del Sol has many special exterior features including impact resistant windows and doors, elegant entry door with door chime, brick paver driveways, designer balcony railings, gated, fenced rear yard with paver path and much more. The landscaping is pristine and lush. This is a home designed for the most discriminating tastes and ideal for entertaining. Interior Features – the interior features were designed with elegance in mind. Each townhome is 3400 square feet or more with volume ceilings, grand 8’ interior doors, central vacuum, your choice of porcelain or marble flooring in the kitchen, bathrooms, family room, living room and dining room. For convenience you will have your own custom residential elevator. Master Suite – the master suite is exquisite with coffered ceilings, an oversized walk in closet with fine wood shelving and room for a king size bed. The bedroom is made for luxury living with a beautiful designer balcony with a view. Master Bath – a bathroom made for a queen and king with 36” high vanities with granite countertop, the shower doors are frameless clear glass shower doors with patch hinges. You have a choice of marble or porcelain tile shower walls and much more. Gourmet Kitchen – this spacious kitchen has dine-in bar seating, exquisite fine wood 41” upper cabinets in an array of colors, choices and fine finishes. You also have a choice of imported granite countertops with 4” backsplash, vegetable sink with disposal in island and beautiful, high end stainless steel appliance package. When you live at Tierra Del Sol you are living the beach lifestyle. You can relax in your backyard with a cup of coffee or go to a nearby coffee shop. Just about everything is walking distance from your front door.